ALERT CANCELLED: Subject reported found on CTV news this afternoon. Douglas McDonald, 77. #Missing from #Vancouver, #BC since yesterday morning has been #located safe according to CTV Vancouver news at 5. Vancouver Police are asking for the public’s help to find an elderly man who has been missing since 9:30 Thursday October 9th, 2014. Seventy-seven year-old Douglas McDonald was last seen at his care home in the area of West 30th Avenue and Arbutus Street around 9:30 October 9th. Douglas is white, 5’11” tall and weighs 160 pounds. He has curly-brown hair, a moustache and blue eyes. He has several days growth on his face and wears glasses. His only known clothing is blue jeans. Douglas may appear confused and disoriented. Police are asking anyone who sees Douglas McDonald to call 9-1-1 and stay with him until police arrive. 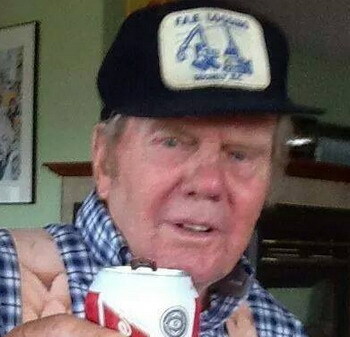 Photograph of 85 year old Andreas Hansen, missing from his home in SecheltSechelt – The Sunshine Coast RCMP are looking for information on the whereabouts of 85 year old Andreas Hansen, who was reported missing from his Crowsten Road residence yesterday afternoon. Hansen was last seen by his caregiver outside of his residence at approximately 2pm on the 15th of September. Hansen has dementia and had recently started wandering off from his home. Hansen was reported missing to the RCMP at approximately 5pm after friends searched the area of his home and places he had frequented. Search and Rescue were immediately deployed and searched several areas until 2am. Hansen does not have a drivers licence and his vehicles are accounted for. Hansen was last seen wearing light coloured blue jeans, brown slip-on shoes, checkered shirt, suspenders and a dark blue baseball cap. He is described as Caucasian, grey hair, blue eyes, 178 cm tall (5 foot 10) and 95 kg (209 pounds). The Sunshine Coast RCMP and Search and Rescue will be continuing with their search for Mr. Hansen today and are asking that anyone reporting seeing any male matching his description to call 9-1-1 immediately.